** DARC aims to establish itself as a world class Research Centre for Legislators, Government and public spirited Citizens and Organizations. ** Meritorious Youth would be involved in crucial phases of Legislation, Committees and overall Governance. ** Post Graduate with minimum 60 % of marks (or equivalent CGPA) with minimum 02 (two) years full time work experience. ** Graduate with minimum 60 % of marks (or equivalent CGPA) with minimum 04(four) years full time work experience. Just follow the below steps to apply for the Delhi Assembly Research Centre Fellowship Programme 2019. Step 1 : Applicants have to first complete form of login registration. 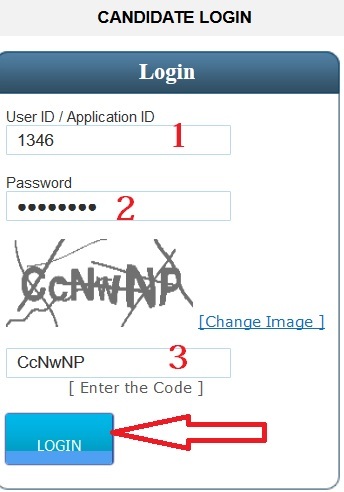 On successful registration, an email is automatically sent by system to applicant email-id with his/her application number along with the password that they have set during login registration process. 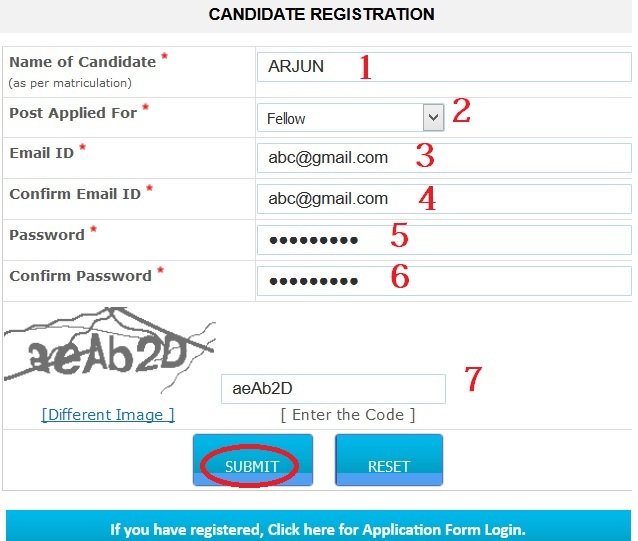 Step 2 : After completion of step 1 for login registration, applicants have to go to step 2 for filling their details in application form using the login details which was sent to applicant email-id after completion of their registration in step 1. Step 3 : First page of application form are basic details of applicant. Second page of application form require educational and professional details of applicant. Step 4 : In Education qualification section, applicant have to mention the passing percentage of their respective degree level under “% or CGI” column. If any applicant has CGPI instead of percentage in their degree level, then he/she can select CGPI and enter along with CGPI base. Step 5 : In drop down list to select country, applicant can simply type the spelling and automatic search will show the matching option for e.g. for country “Norway”, select the dropdown and start typing the spelling of “Norway” and automatic search will show the matching option. Step 6 : In case, applicant institute name is not present in dropdown list then he/she can select “Others” option and mention name of their institute in text box below. Step 7 : Full Time Paid work experience to be filled separately from Part Time/Voluntary/Other work experience. Step 8 : Applicant to upload their recent photograph only in “JPG” format and its size should not exceed 30Kb size. Step 9 : Applicant also have to upload their Resume (maximum 2 pages) in “pdf” format only and its size should not exceed 500Kb. Step 10 : Applicant are advised to check their details in form preview before final submission of form. For any change or update, click on “UPDATE” button. Step 11 : Once form is submitted then applicant cannot change their information. Step 12 : After successful submission of form, applicant can download soft copy of their application form any time after submission of their form by logging via Application form link. ** Fellows / Associate Fellows will be assigned to work with the Legislators and Delhi Assembly Secretariat and in close coordination with the Departments of Delhi Government. ** They shall have a clear interest, aptitude and commitment to public service. ** A consolidated sum of Rs.1,00,000 per month to Fellows and Rs.60,000 per month to Associate Fellows will be provided in the form of Stipend. The website is not getting loaded. I am a BBA final year student. Can I apply for these posts?